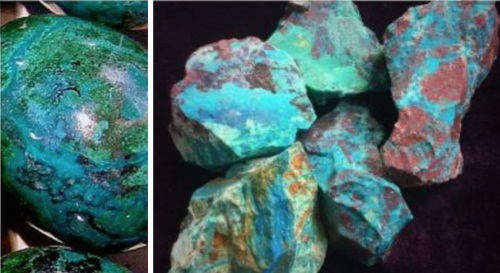 Chryosocolla is a beautiful mineral – the variations on patterns and shades of color are almost endless – but most are within the turquoise blues and lush green spectrum, with touches of deep navy and sometimes the tiniest hint of metallic shades of copper, or even some with a metallic a bronze like tone. Roll 60g of Concord Blue Makin’s Clay® using clay roller to about 1/4” thick. 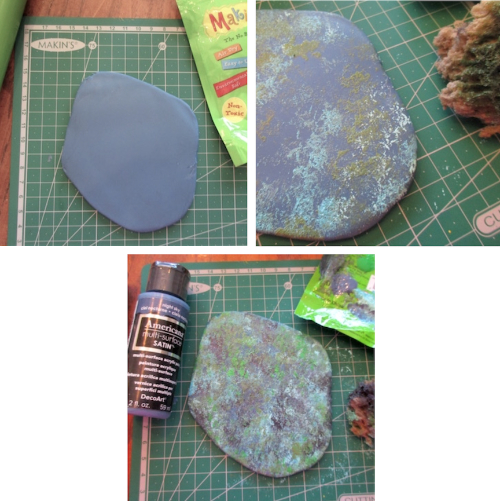 Using sea sponge, randomly sponge a light amount of Woodland Green, Deep Turquoise, and Coastal Waters paint onto rolled clay. Let paint dry. To apply second layer of color, using sea sponge, randomly sponge a light amount of Turf Green, and Night Sky mixed with a tiny amount of Black Tie paint onto rolled clay. Let paint dry. Place bezel face down onto colored clay. Impress to mark shape. 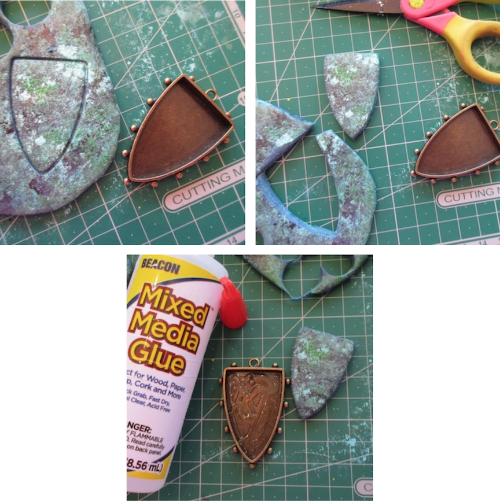 Use scissors to cut bezel shape from colored clay. Apply Beacon Mixed-Media Glue to bottom of bezel. 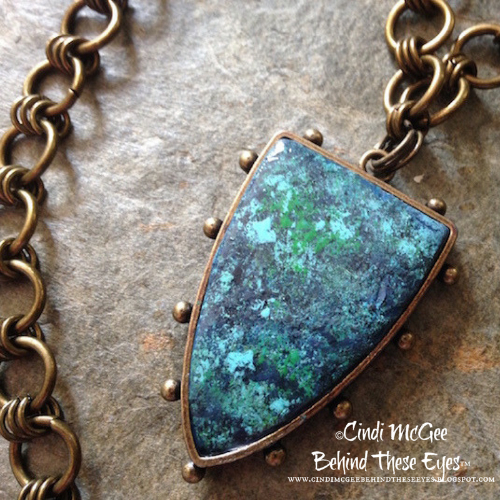 Place colored clay into bezel and press gently to adhere. Let dry 24 hours. 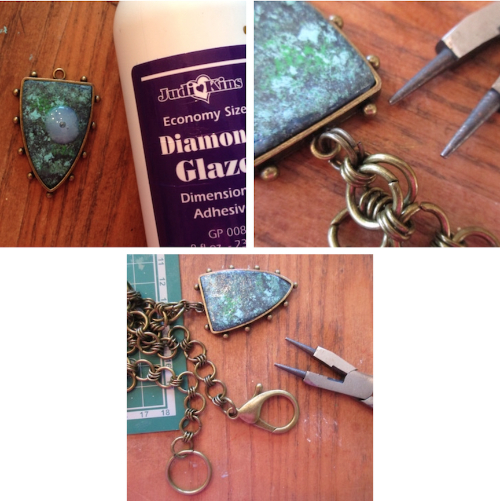 Apply a thin layer of JudiKins Diamond Glaze over surface of faux stone. Let dry. Add bronze jump ring to bezel – I used 3 jump rings to match the connectors on the chain I selected. Add bronze chain and closure.